This entry was posted in Uncategorized on March 26, 2018 by greybrucelabour. 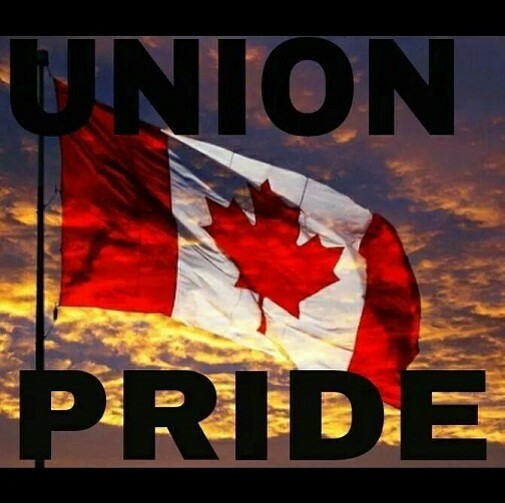 The Grey Bruce Labour Council continues to stand firmly with the Kincardine Pride organization and once again this year we are very proud to make a donation and to offer our help and assistance to this progressive and compassionate organization. This entry was posted in Uncategorized on March 19, 2018 by greybrucelabour. Kincardine Pride Incorporated (KP) is a community-based, 100% volunteer-driven, Not-For-Profit Corporation that celebrates LGBTQ+ diversity in the Municipality of Kincardine and area. We are committed to promoting Kincardine as an LGBTQ-inclusive community. We celebrate LGBTQ+ diversity by hosting an annual, family-friendly Pride Parade and Celebration in downtown Kincardine and participating in other visible, public events. We welcome all LGBTQ+ supporters to all our events, including our monthly socials, monthly Kincardine PFLAG meetings and upcoming LGBTQ youth group! Attendance for our Inaugural Pride Parade on June 24, 2017, exceeded all expectations! Hundreds came dressed to celebrate Pride, waving Rainbow and Canada flags, to participate in this historic event, many driving for several hours to attend. Hundreds more, residents and visitors of all ages, crowded the main street downtown to cheer and then filled Victoria Park for a joyful social that included musical and dance entertainment, refreshments, snacks, some souvenir merchandise and a lot of hugs, laughter and good cheer. Noteworthy participants included the Mayors of Kincardine, Brockton and Goderich; Chief Nadjiwon of Cape Croker’s Saugeen First Nation; The Chief of Police and officers from Owen Sound Police Services, as well as our own O.P.P. officers lending their support; Church, school, business, political and labour union groups were represented, all identifying as LGBTQ+ supporters or allies. Particularly significant was the number of young families with school-age and younger children who were very excited to be part of the first Pride Parade ever held in the entire area of Bruce, Grey and Huron Counties! Additionally, this event received wide-spread, extremely positive, media coverage in the weeks leading up to the event, live coverage during the event and continued reporting in weeks following. This included many local print publications; television, radio and youtube broadcasts and social media interest on our Facebook and Twitter accounts. We are thrilled to welcome, at no cost, participation in our Pride Parade by businesses, groups and organizations who wish to demonstrate that this event aligns with their vision of being LGBTQ-supportive in our community. We welcome your ideas and suggestions for additional ways that your organization can meaningfully connect and interact with our audience, before, during or after the parade, in order to make the event a more enjoyable and lasting experience for our audience, while at the same time, highlighting your support. This might include an information table, game, refreshments, entertainment or fun activity for all ages or for children in particular. Additionally, we welcome your preferences and requests for ways that we might assist you in communicating with our audience. This might include preferred placement of your signage, mentions on our social media with links to your Internet site and articles or your individual requests, as our resources would permit. Sponsors for our Inaugural Pride Parade included major local corporations, mid-size businesses, family-owned businesses, community groups and individuals. This entry was posted in Uncategorized on March 13, 2018 by greybrucelabour. The Society of United Professionals, formerly The Society of Energy Professionals, has become a major sponsor of the Kincardine Pride Parade and Celebration! “We are proud to support Kincardine Pride because we believe in promoting inclusion, education and community-building in our area. Last year’s event was fun for the entire community and we look forward to showing our support again this summer for the LGBT community” said Eric Tiisler, Local 160 Representative. Liam Clubbe proudly presented a cheque, on behalf of The Society’s Community Foundations Fund / Community Building Program, to Kincardine Pride Directors on February 23. The donation will be used towards hosting a successful, family-friendly Pride Parade on June 23 at 11a.m., followed by a social in Victoria Park with music, entertainment, children’s activities, refreshments and vendors. Kincardine Pride wishes to thank The Society for its generosity and for being a proud community leader by supporting our work. The Kincardine Pride Parade, in its second year, is unique in the area and welcomes participation from residents, visitors, businesses and organizations who wish to demonstrate that Kincardine is a welcoming, LGBTQ-friendly community that celebrates diversity. The March, 2018 Grey Bruce Labour Council meeting will be held at 7 PM on March 26th. The meeting will be at the OPSEU office (1717 2nd Av W) in Owen Sound. Executive to meet at 5 PM. Delegates, Friends are welcome. Come and be part of what Labour and Working People in our region are doing. Stacks Demolished at Nanticoke Generating Station Members will have seen in the news that on February 28, 2018 the smoke stacks at Nanticoke Generating Station were demolished. This entry was posted in Uncategorized on March 1, 2018 by greybrucelabour.